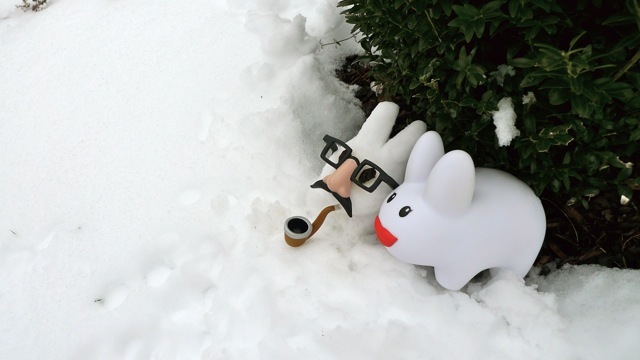 It was a bitterly chilly day today, and all of the labbits at the Green Mountain warren were hunkered down inside, baking cookies and cakes and eating and sleeping. Only Clover dared venture outside, and even she stayed close to this plant to stay out of the wind. But it got lonely and chilly just sitting there, so Clover decided to make some company for herself. ...looking pretty good. Now a little nip and tuck on the sides for a leaner, sleeker companion. He's missing something though. Ah, that's better. He's looking quite handsome now. Is it getting warmer out here? Clover's ditched the toque. The raisins for eyes are just perfect. Don't they make quite the pair? 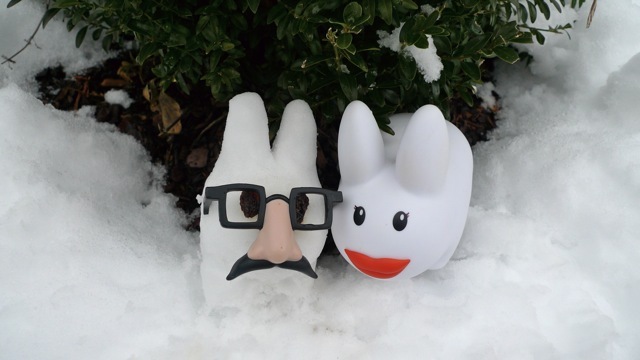 Now they can snuggle together to stay warm in the cold. "Pssst. Don't say anything to Captain Holly, okay?" Wow! 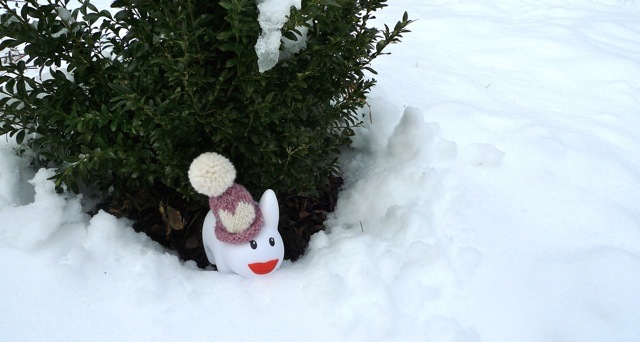 Clover has some talent making that snow labbit. 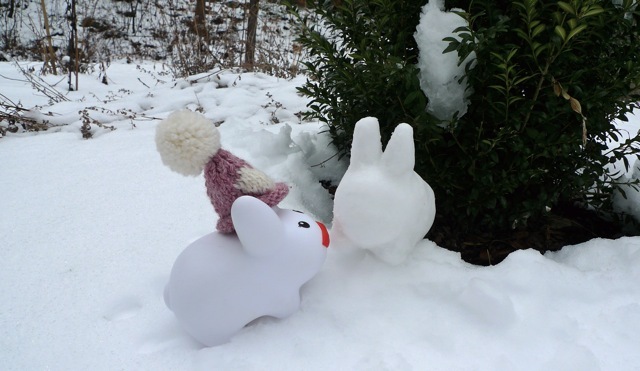 Amazing:) What is the snow labbits name? 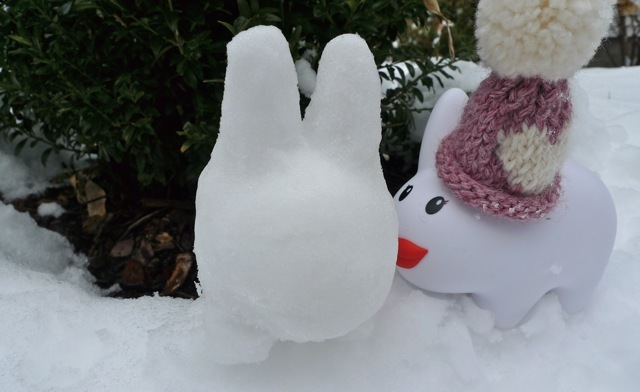 I even have a labbit that has the same lips as clover! 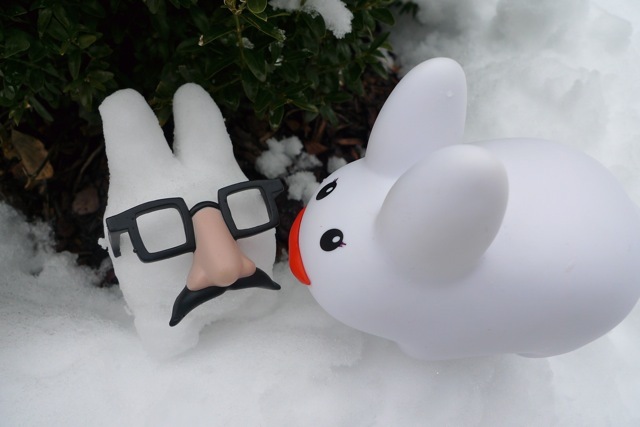 Awww, Clover didn't name him! How thoughtless of her.